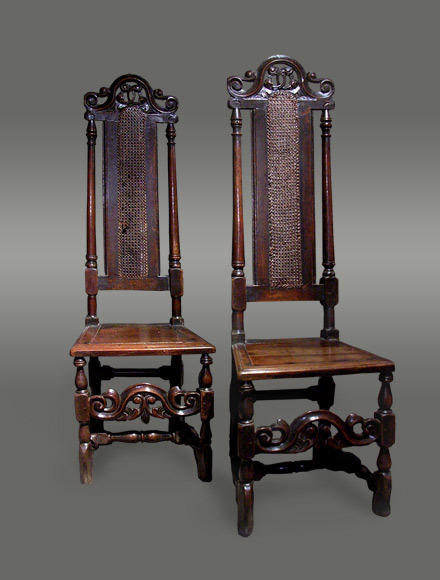 These are a very rare and elegant pair of Welsh cane-backed side chairs (originally with cane seats), circa 1690. 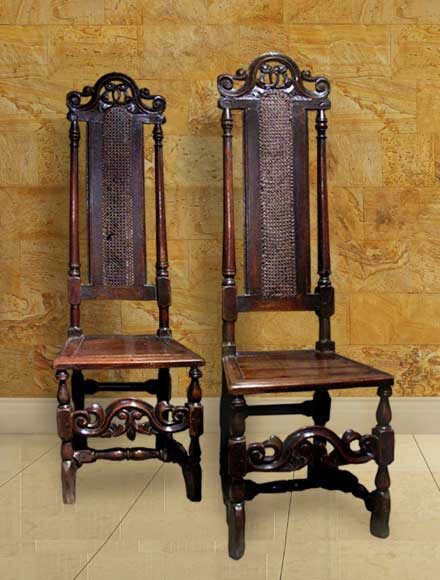 They have intricate fretted scroll carvings to the top rails and at the base. The front legs are beautifully turned and end in "Spanish" feet.